Calling all comic strip writers! 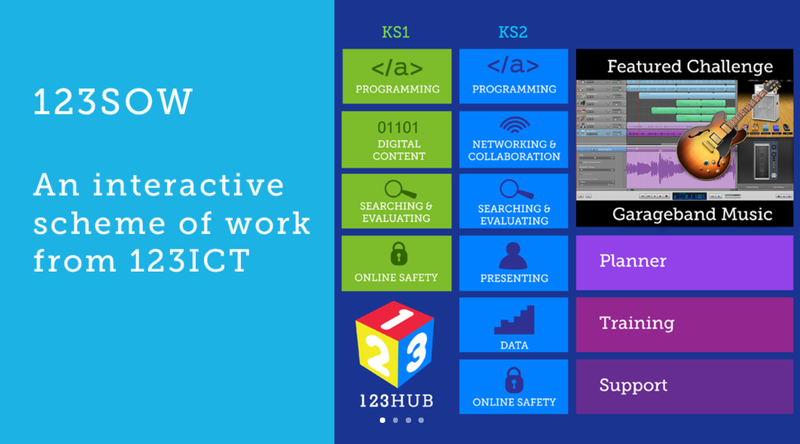 This is your chance to win our fantastic new computing scheme of work, 123SOW (worth between £300 and £500, depending upon the size of your School), or a free 123ICT pupil workshop, for your school! 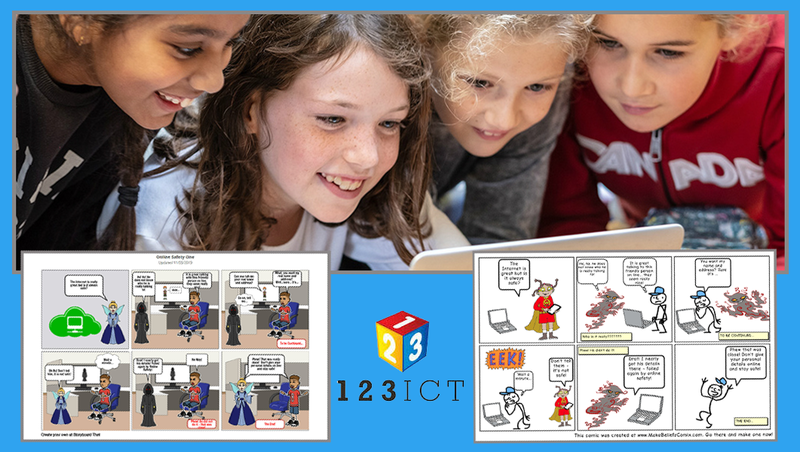 To stand a chance of winning these great prizes, all you have to do is enter 123ICT’s exciting new online safety comic strip competition! We are all well aware of the great learning and communication opportunities of the Internet. However, we also know how vitally important it is that our children use this wonderful resource safely and know what to do should they come across anything on the Internet that makes them feel in any way uncomfortable. 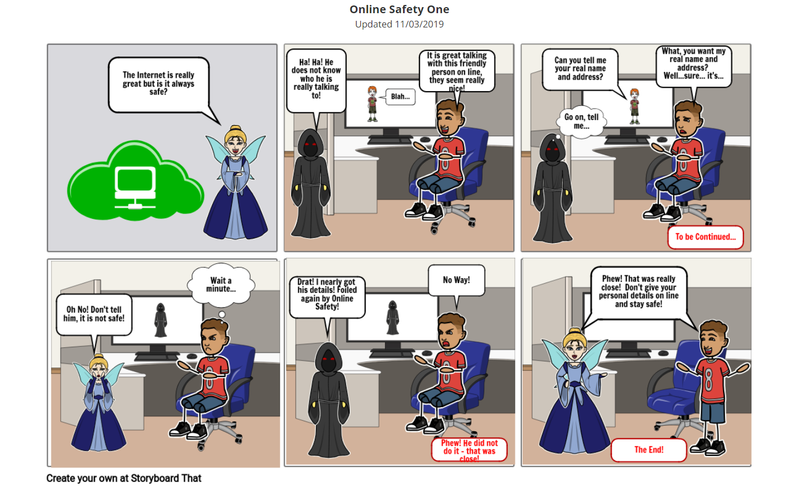 As part of 123ICT’s ongoing undertaking to improve the online safety awareness within all of the schools that we support, our latest computing competition is to create a comic strip that promotes online safety. We think that writing in this format will encourage children to participate and also add to their excitement of creating a great online safety story. Creating comic strips can be an effective method of communicating for the young and a great way for teachers to encourage reluctant writers to start producing stories. We hope the competition will increase appreciation of the numerous pit-falls of using the Internet; thereby, encouraging and promoting good on-line practice. It should also give pupils an opportunity to practise and improve their digital writing and graphics skills. What will you use to create your comic strip? There are a number of really good free online comic strip websites that can be used to create entries. Alternatively, software and applications which may already be held in school, such as: MS Word, MS Publisher, MS PowerPoint, 2Simple’s Create a Story and Create a Superstory and the Book Creator App for iPads could also be used to create entries. 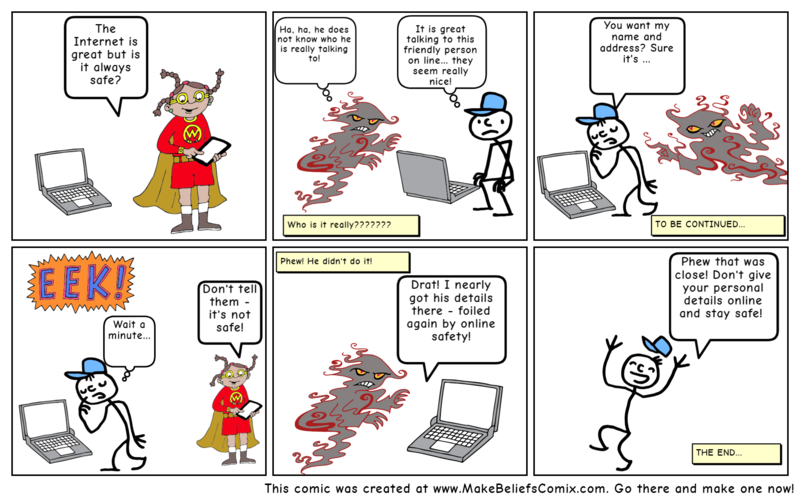 The comic strip example above was created using the free Storyboard That website and the example below was created with the free Make Beliefs Comix site. You might find it useful to read the review of both these online comic strip creation websites, here on our website blog. The winning school will receive a year’s subscription to our fantastic new computing scheme of work, 123SOW (worth between £300 and £500, depending upon the size of your School)! We are extremely proud of our newly released 123SOW. It consists of a varied collection of online computing challenges and cross curricular theme packs. The challenges cover the whole UK Primary Computing Curriculum. Each challenge is built around a series of video tutorials which are designed to inspire and support teachers in delivering successful units of work. The runner-up school will receive a free 123ICT pupil workshop, of their choice. The competition is intended for both Key Stage One and Two children, including age appropriate entries from special needs schools. The closing date for entries is Friday 21 June 2019. For full downloadable competition details and guidance, please click here.